Pre natal class is offered on a 5 class pass basis only. The reformer classes are small group classes: 5 per class. £55 per session (1 hour) or 10 sessions for £495. £60 per session (1 hour) or 10 sessions for £580. Free consultation with all one-to-one and small group sessions. Herbal supplements are provided at an additional cost. (First session will be approximately 2 hours which includes a consultation and dietary and lifestyle advice to promote balance). A deeply relaxing massage to release tension, alleviate stress and anxiety. Improves the condition of the skin and can help alleviate dry scalp and dandruff. Induces restful sleep and can treat headaches and migraines. (The first session will include a 15 minute consultation £55). This is a truly individualised approach. The package will provide a complete treatment plan to create balance, eliminate toxins and treat a range of conditions from digestive problem, skin conditions, fatigue, weight gain, stress and joint and muscle pain. Consultation and Diet and Lifestyle Plan 75min. ’You don’t have to eat less, you just have to eat right’ – Ayurvedic nutrition is based on choosing the right food for your Ayurvedic type. Eating right for your type will create balance (good health). Eating incompatible foods will ultimately result in imbalance (poor health and disease). We are all individuals and our diet should reflect that. 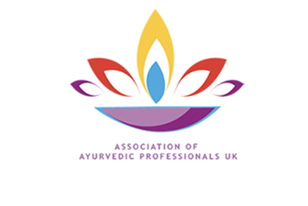 Therapeutic Ayurvedic Massage and diet follow-up 90mins. Your Massage will use oils to balance your Ayurvedic type and treat specific areas of the body to create balance and treat disorders. Yoga session 60mins. Specific Yoga asanas will be prescribed to create balance and treat specific conditions. Massage and diet follow-up 90mins. 5 class pass – valid for 2 months. 10 class pass – valid for 5 months.